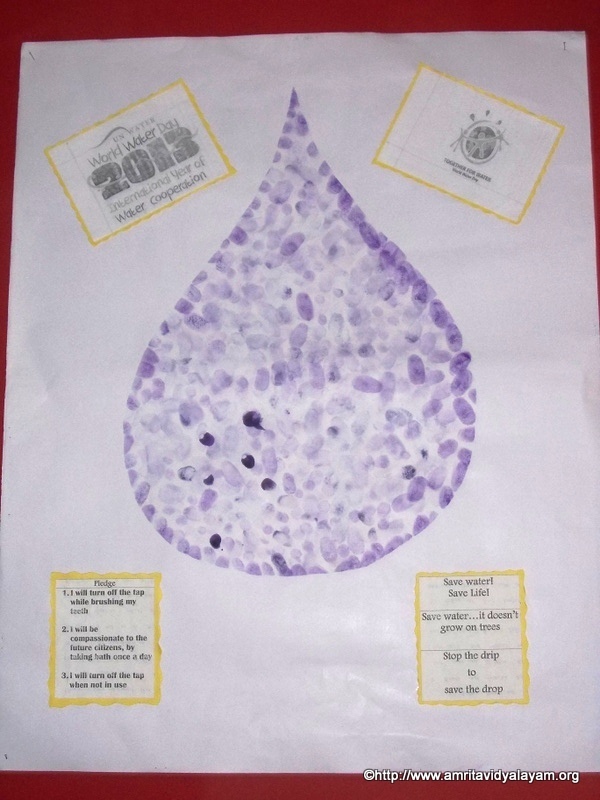 The students of Amrita Vidyalayam, Vatakara joined hands together to commemorate the International Year Of Water Cooperation 2013 or the world water day by raising awareness among the students through animated movies focusing on water conservation. 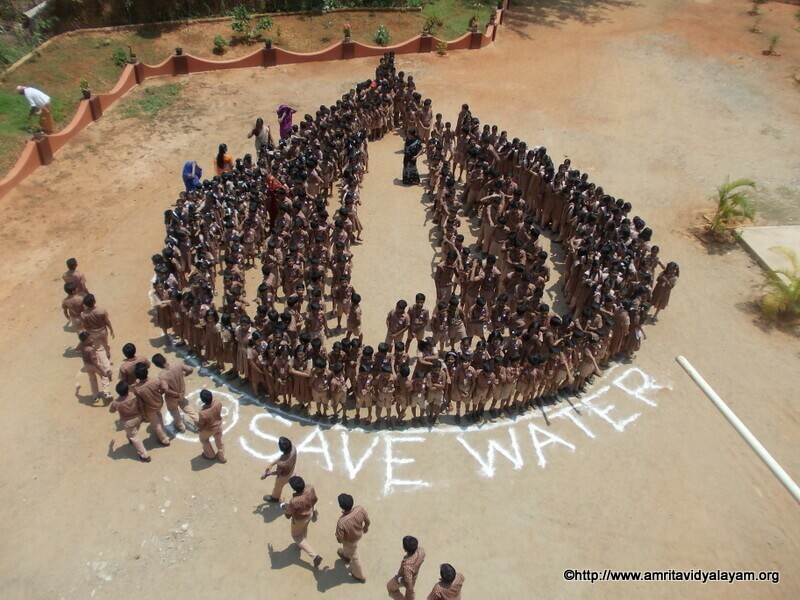 Students made a ‘Drop’ shaped formation to emphasize the need of the hour- “SAVE THE DROP”. 3. I will turn off the tap when not in use. As a mark to reduce the ‘WATER FOOTPRINT’ the students gave their thumb impressions on a ‘Drop’ shaped cutout. This event has been registered under the UNITED NATIONS INTERNATIONAL WATER DAY EVENTS 2013.